Today’s guest on The Bookpreneur Podcast is serial entrepreneur and author, Dan Weinfurter. Dan is our guest today because of his partnership with us in creating his book, Second Stage Entrepreneurship: The Proven Strategies for Driving Progressive Growth. Dan’s experience in writing and publishing his book serve as an ideal example of why we often say that every expert needs a book as a business card. 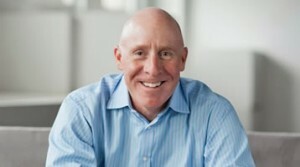 Dan recently founded GrowthPlay, a sales consulting business. The company’s aim is to help businesses achieve better results by improving the sales capabilities and performance of the people in the business who are the “face” of the business that customers and potential customers see. Before Dan launched GrowthPlay, he was the founder and CEO of two other private equity-backed businesses and was the No. 2 executive for a third. All three achieved high rankings on the Inc. 500 list of fastest-growing private companies. Dan’s got tons of experience to share with those who will take the time to listen, and publishing a book was the perfect way to open that door. In this chat, Melissa G. Wilson talks with Dan about his background and business journey. In particular she probes the reasons behind Dan’s decision to finally author and publish a book and explores the results he’s seen from doing so. To give you a little taste, here it is In Dan’s words, “It wildly surpassed my expectations.” As a result of his book he received a handful of consulting gigs without even meeting the new clients, just because they had read his book and said, “That’s good enough for me.” He’s been introduced to equity partners as a result of his book, has been called in to teach classes and seminars, and has enjoyed the many other varied benefits of being seen as an “expert” in his field (though he shies away from the term). Dan wrote his book because he saw a vacuum in the marketplace. There were many books themed around starting a business and quite a few about running a business. But there were none that focused on that “in between” stage when companies are operating successfully but needing to take things to the next level. Dan’s a true expert in his field and it was high time he wrote a book to share his expertise and knowledge. The bonus is that he experienced what we teach: It was the ideal tool to leverage to his advantage for building more client relationships and opening the door to more opportunities. If you’ve wondered if a book would be an effective tool for you to use to ramp up your own brand or business, Dan’s story will serve as helpful food for thought as you make your decision. He’s honest about the work and time involved in the project and has very actionable tips for determining if you are a person who should be writing a book. Welcome and an introduction of this episode’s guest and Danny Weinfurter. “Grow or Die”- how it applies to Dan’s decision to author a book. 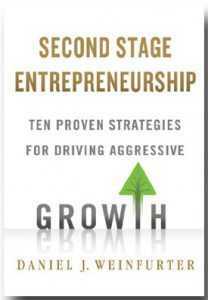 Why Dan aimed his book, Second Stage Entrepreneurship, at the niche he did. Why becoming knowledgeable in a specific area or niche should be leveraged into a book for the good of readers and the advancement of your brand. How does Dan feel about traditional publishing VS self-publishing a book? The impact Dan’s book has had on his consulting and speaking career: a wildly unbelievable result. 2 years into the book’s lifespan: Is Dan considering another book or planning to continue to leverage the first one? Dan’s content strategies to build thought leadership for himself and his company. Thoughts about podcasting possibilities for the future. A question for Dan: If you could ask anyone, living or dead, any question, who would it be and what would you ask? Dan’s tips for those who wonder if they should publish a book.